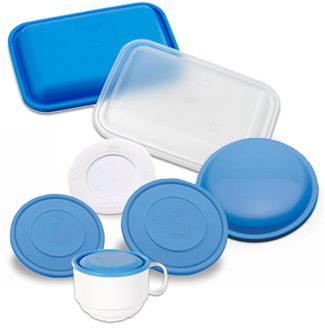 CBC Bellvis Product: plastic kitchenware. polycarbonate. 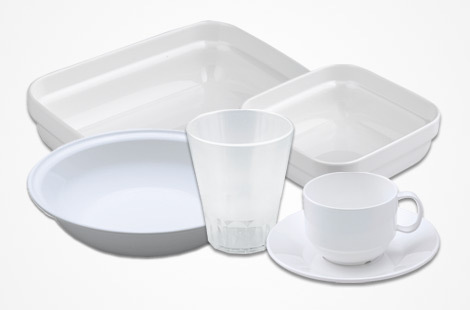 We design, produce and distribute isothermal trays and plastic kitchenware. High quality products to Service the most demanding commercial kitchens: hospitals, schools, residences, prison facilities, catering, etc. We use a variety of materials to build our products, polycarbonate, polyethylene, ABS, polypropylene, according to the purpose and the requirements of the product. 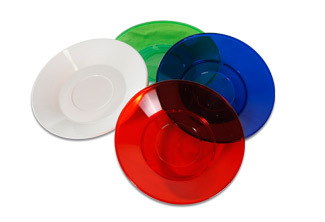 The most widely used is polycarbonate due to its great impact and hydrolysis resistance. • Durability for its great impact resistance. • Meets migration testing rules. • According to Regulation 1935/2004 regarding material in contact with food and Regulation 10/2011 regarding plastic food contact. 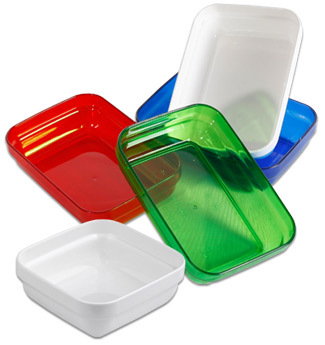 • Made of latest technology polycarbonate (PC), BPA free. • Unbreakable, long lasting and reusable. 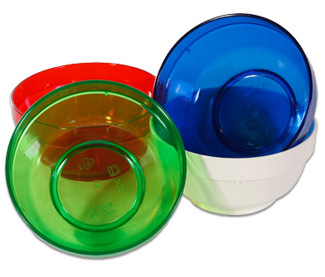 • Microwave and dishwasher safe. Hydrolysis resistan. 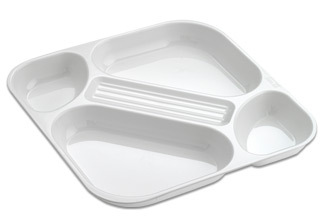 • Suitable for food according to European regulations. • Suitable for temperatures between -30 and +120. 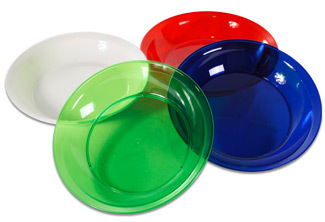 Round dish for lunch and dinner, ideal for salads, vegetables, meat, fish and accompaniments. 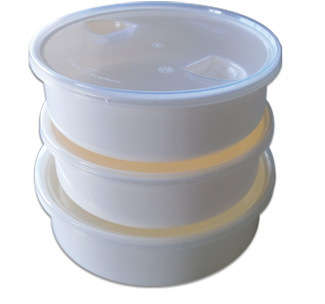 • Microwave and dishwasher safe. HYDROLYSIS resistant. • Made in several colours, see references. 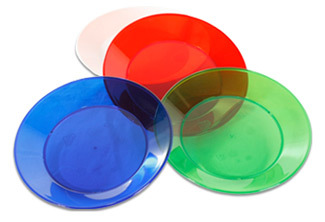 Smaller size plate ideal for dessert or small food quantities, it can also be the complement to the polycarbonate cup CBC. Ideal for starters (soups, creams, broths …) and desserts (rice pudding, fruit salad, …). 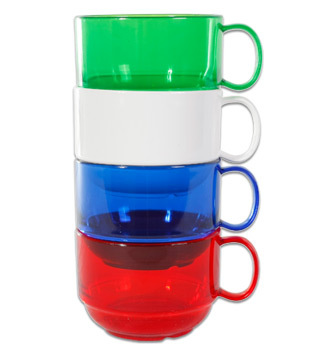 Polycarbonate cup with ergonomic handle. 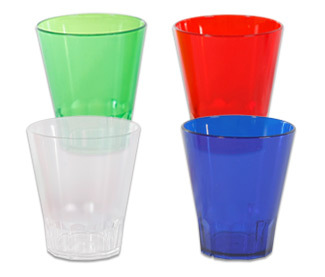 Reusable large capacity glass, unbreakable, especial for commercial kitchens. Designed to be stacked without risk of remaining engaged and preventing humidity build up. Due to its conical shape, they are specially designed for better grip of the elderly and children. Designed to maintain the temperature and avoid leaks. Providing a secure and hygienic transport. • Made of polyethylene (PE). • Maximum use temperature 50-90º. 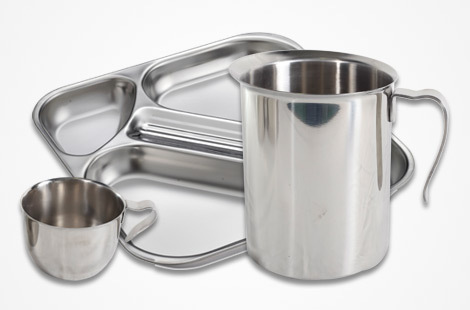 secure and hygienic transport of any type of food, maintaining the temperature and avoiding leaks. • Made of polypropylene (PP). • Maximum use temperature +95ºC.